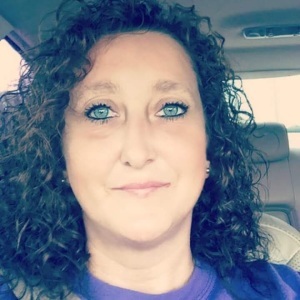 Obituary for Candius Herndon Harley | Thompson Funeral Home, Inc.
Candius Herndon Harley, 41 passed away Sunday, January 20, 2019 at the Regional Medical Center in Orangeburg. Visitation will be held 2:00 to 3:00 PM Wednesday before the service. Funeral Services will be held 3:00 PM Wednesday, January 23, 2019 at Bowman First Baptist Church with Rev. Paul Hamilton, Pastor Oakley Dickson, and Pastor Steve Scott officiating directed by Thompson Funeral Home, Inc. in Orangeburg. Candius was born February 4, 1977 in Orangeburg, SC; the daughter of Cindy Lunsford Williams and the late William Heyward Herndon. She was a member of Bowman First Baptist Church and was employed with Fatz. She was a loving Mother, Daughter and Niece. She loved spending time with her family and her joy in life was to help others. She was preceded in death by her Father, William Heyward Herndon; a son, Dovan Chavis and her step-father, Edward Williams. Survivors include her Mother, Cindy Williams of Bowman; 2 children, Marisa Herndon (Jonathan) of Bowman, Dylan Craig (Katlyn) of Kentucky, 3 brothers; Trey Herndon (Katie) of Bowman; Wendell Herndon (Wanda) of Branchville and Buster Williams of Bowman, a half-sister, Brittany Fogle (Melvin) of Holly Hill and her Grandmother, Catherine Catchings of Bowman. Friends may call at the residence of Cindy Williams in Bowman. Memorials may be made to Bowman First Baptist Church; PO Box 216, Bowman, SC 29018.